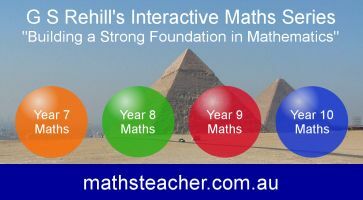 The Interactive Maths Series (Second Edition) software will work on all computers with Microsoft® Windows 10, 8, 7, Vista or XP and Apple® Mac® OS X v10.3-10.13. Parents who need to reinstall licensed software should download the relevant trial licence and enter their current licence registration details after starting the software. You may download the following Homework Licences to trial Chapter 7. If you are satisfied with the format of the software, simply place an order and you will receive your registration information including licence key within 24 hours.